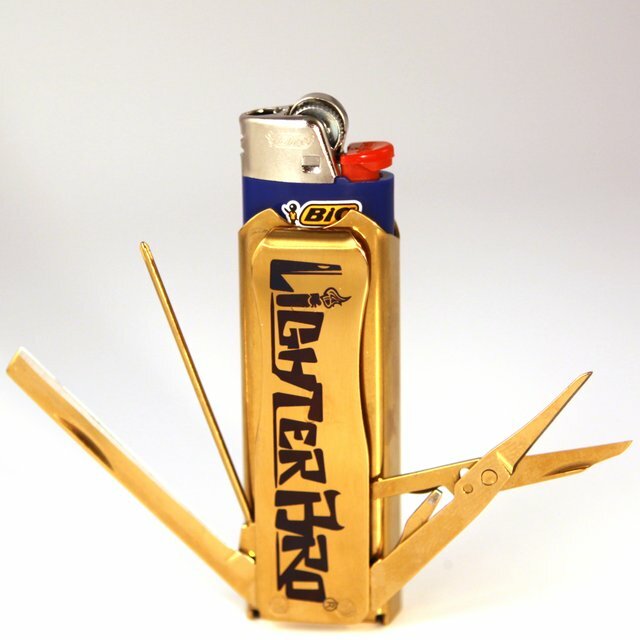 The LighterBro multi-tool is manufactured using 100% imported Japanese 420 Stainless Steel and highly polished to a mirror finish. The “snap action” tools of knife, screwdriver and scissors are spring loaded for fast action and bottle opener is integrated into bottom of the multi-tool for instant use. Push the lighter past bottle opener stop for a more compact profile when carried. LighterBro logo is laser engraved for maximum durability.